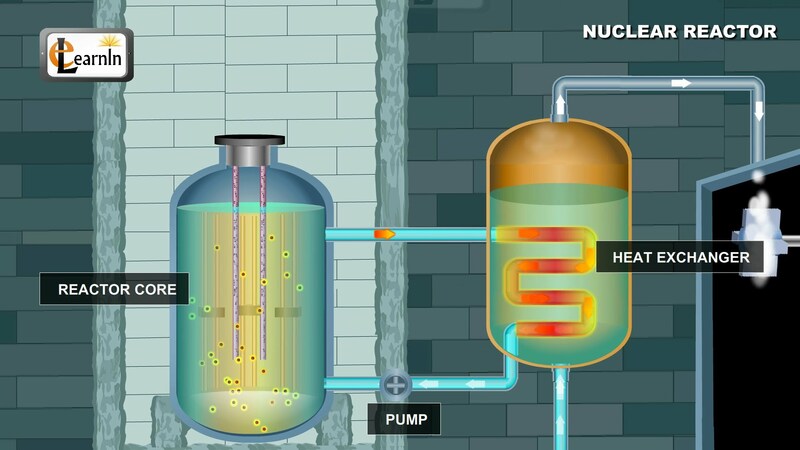 Home » Uncategorized » How Does Nuclear Power Work? 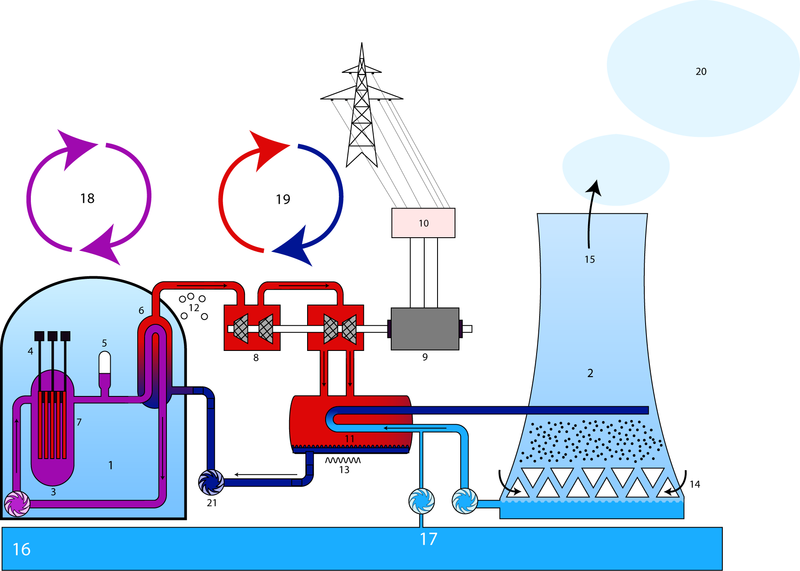 How does nuclear power work? Have you ever asked yourself this question? I did and I’m glad I found the answer. 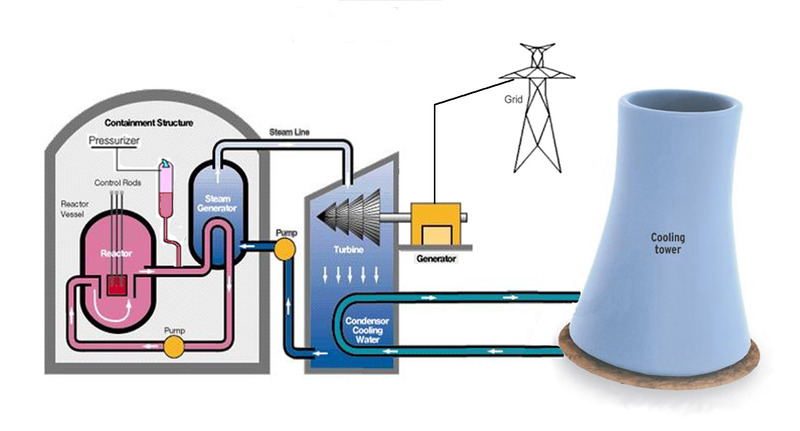 Like other power sources — coal, natural gas, water and wind — nuclear power stations work by creating heat that turns water into steam which consequently turns a generator to produce electricity. A nuclear power generator has some basic components that we need to familiarize in order for us to understand how this enormous facility works. Let’s talk about some them. In a nuclear power station, heat is produced by a process known as nuclear fission — the splitting of an atom into a smaller and simpler form. Let’s take for example Uranium 235 (a common fuel for nuclear reactors). When it collides with a neutron, Uranium 235 breaks apart producing more neutrons that can collide with other uranium atoms. This process of colliding and breaking apart goes on and on until a chain reaction is achieved. The heat produce by this reaction is used to convert water into steam. Uncontrolled nuclear fission is very dangerous (think of an atomic bomb). That’s why nuclear reactors are equipped with control rods. These control rods absorb neutrons and they are usually placed at the nuclear pellet assembly. A nuclear fission occurs when the rods are taken out and stops when they are placed back again. 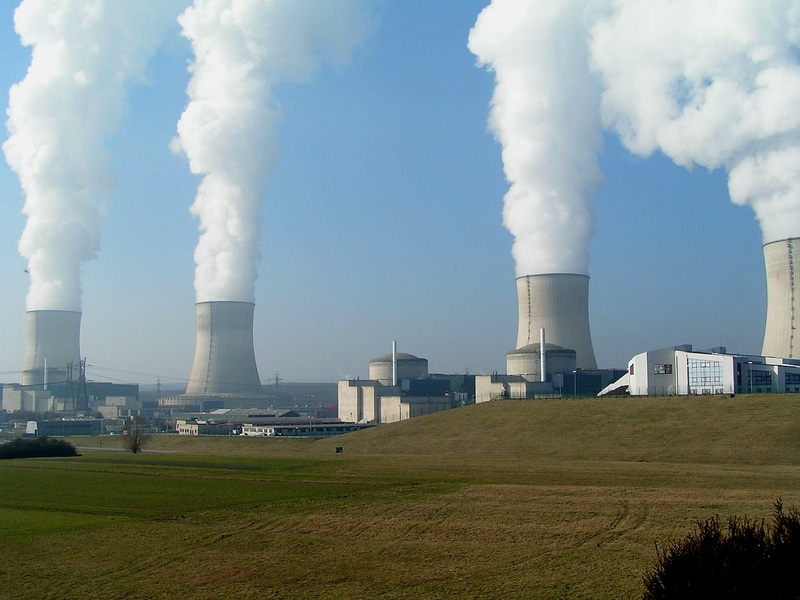 A nuclear power station is useless without its nuclear fuel. The most commonly used fuel today is Uranium 235. It is manufactured in 1-inch long pellets. Each Uranium pellet can generate electricity equal to 1 ton of coal! These pellets are in fuel rods that are over 12 feet long. 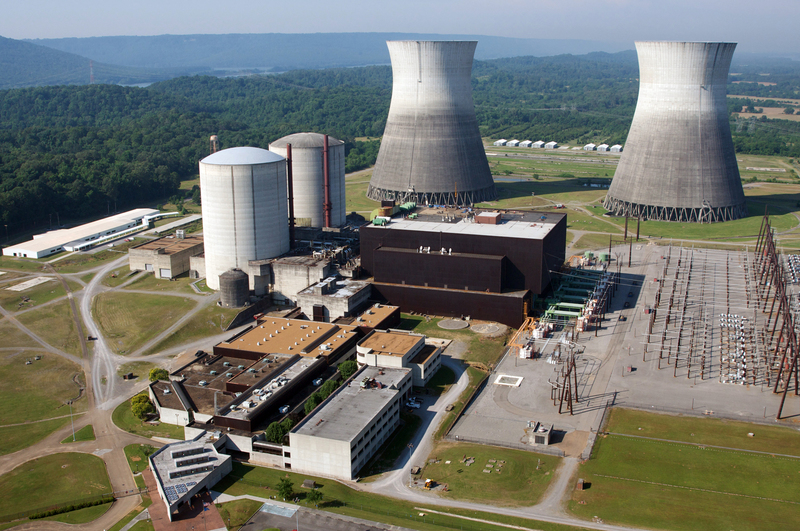 Each reactor may have 200 fuel rods grouped together into what is known as fuel assemblies. Every nuclear power station has two closed water systems inside. The first one, known as the primary coolant, is pressurized and heated to more than 600 o F. It flows through a series of tubes surrounded by the second water system or the secondary coolant. The heat from the primary coolant transforms the secondary coolant into steam. Since the two systems are closed systems, they will not mix with each other. Steam coming from the steam generator passes through giant turbine blades. These blades are connected to huge mechanical shafts. Each of these rotating shafts are connected to electric generators which produces electricity when the turbines spin. After passing through the turbines, the steam is piped to another facility that houses a third water system called the condenser coolant or lake water. The condenser converts the steam into liquid which is then recycled back to the steam generator for future use. These basic components are present in a typical nuclear power facility. Understanding how each of them works gives us an idea about how nuclear power stations work as a whole. So if someone asks you again — how does nuclear power work? I bet you already know the answer! Craving for some trivia? 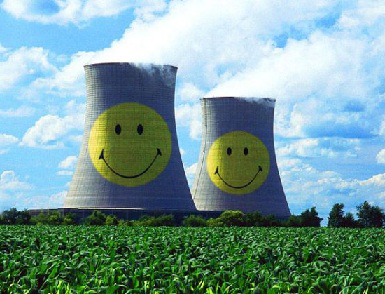 Here are the top 9 facts about nuclear power!